The programme of the fifth edition of LET'S CEE Film Festival included 141 films and was therefore more extensive than before. The new record has been set with 183 screenings and with the number of international guests such as the genius filmmaker Béla Tarr from Hungary, a Bosnian Oscar winner Danis Tanović as well as legendary actors such as Ksenija Marinković from Croatia and Lazar Ristovski from Serbia. The festival welcomed 16.100 viewers. The Programme included several country-specific focuses such as the Cultural Year Austria – Croatia 2017, Romanian Highlights, Polish Focus as well as a PÖFF Short Film Programme curated with the A-list Film Festival Tallinn Black Nights, and the best of Polish animated films, presented with the Krakow Film Foundation. 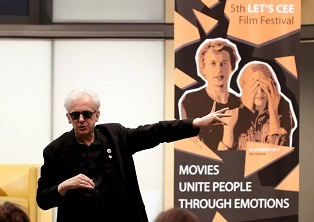 In honour to the late Polish master director Andrzej Wajda there was a film retrospective with five of his best films curated by the director of the Competitive Film Festival Warsaw Stefan Laudyn. The best productions from Austria were presented in a new section Austrian Day. 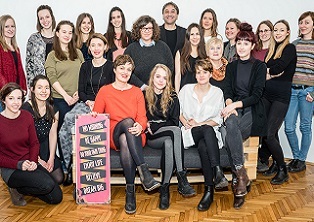 The Festival has widen its offering for the film business introducing a new section LET'S CEE Talent Academy with 26 young filmmakers from Central and Eastern Europe and Austria and continuing LET'S CEE Industry Days, the two-day symposium opened by Harald E. Trettenbrein. 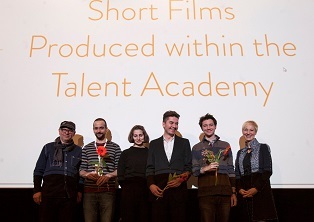 Within the context of four fierce competitions the audience could watch a total of 43 Austrian premieres including several world premieres in the short film competition. After the festival had been opened with a Hungarian film The Citizen, the most awards went to Hungary. The legendary filmmaker Béla Tarr has been awarded the LET'S CEE Film Festival Lifetime Achievement Award and the Urania Award 2017 for a feature film went to the Hungarian prodution Kills on Wheels by Attila Till. The winner in the Documentary Film Category was A Mere Breath by the Romanian director Monica Lãzurean-Gorgan. In Promising Debiuts Competition the main award won the film Hristo by Grigor Lefterov and Todor Matsanov. The main award in Short Film Competition, whose motto this year was World in Transition, went to Vladimir Beladian from Russia and his film The Buzzing of a Bumblebee. The award for the best actor received the outstanding Croatian actress Ksenija Marinković, who has starred in three films presented during LET'S CEE Film Festival. The Audience Award in the Short Film Category went to the Austrian Olga Kosanovic and her German-Austrian co-production Undercooling, whilist in the Feature Film Category the Audience Award received Miloš Radović for his tragic comedy Train Driver's Diary.